There are many generous organizations that fit girls in need for prom dresses and other formal event attire, but nothing compares to “The Fairy Godmother’s Closet.” Shelley Hundley, since college, has been helping young girls overcome the very obvious financial, social, and self-esteem issues associated with formal events. 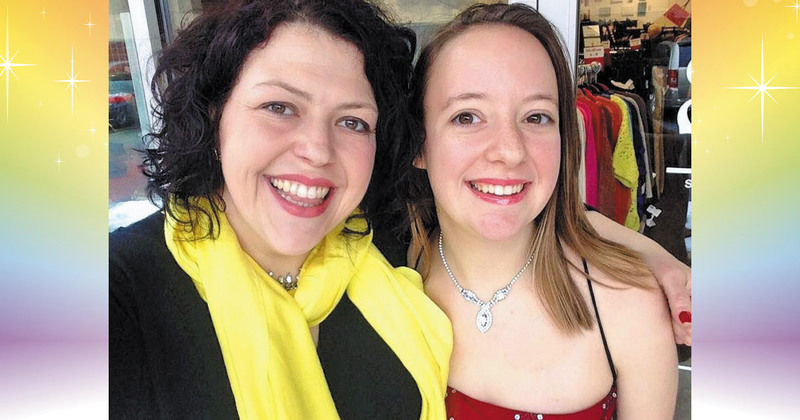 By collecting donated dresses, jewelry, shoes, and wisdom of life, Shelley has found the means for struggling girls to find exactly what they need to attend their proms. I walked up to the light brick home, taking in the black shutters and detailed mailbox as I went, and parked myself beside two donation bags on the steps. I rang the doorbell, nervously waiting, because I had no idea what to expect. Before my imagination could think up any crazy scenarios, Shelley opened the door, green lace fairy godmother dress and tiara on, her smile warm and welcoming. I followed “the Fairy Godmother” inside, watching her “bippity boppity boo” her way through dresses that didn’t, contrary to my preconceived notion, ooze remnants of Goodwill and the 1900s. As she wove us through the fabrics, laughing and joking, I found myself sitting on the couch in Shelley’s living room, feeling more vulnerable and safe than I’ve ever simultaneously felt. You don’t find many truly compassionate, giving, comforting individuals, but Shelley Hundley is one of those people. She told me stories of herself in high school and why every single girl should feel valuable; she told me why “The Fairy Godmother’s Closet” is so near and dear to her heart. After quite an emotional experience, I realized how lucky and special girls who came for dresses must feel. They were gifted more than a Cinderella experience; these girls were taught confidence and given love. It’s no wonder “The Fairy Godmother’s Closet” is such a success. “The Fairy Godmother’s Closet” has visited hospitals, the homes of girls in wheelchairs, and a few cities. Shelley wishes to expand the service in the upcoming years, making it a triad-wide event for all high school junior and senior girls. The only requirement for service is a recent report card, as proof of enrollment. Of course, to make the expansion, donated dresses, clutches, jewelry (even broken) are always appreciated, as are clothing racks and shoes in excellent condition. For inquiries and donations, feel free to contact Shelley Hundley at (336) 448-3622.